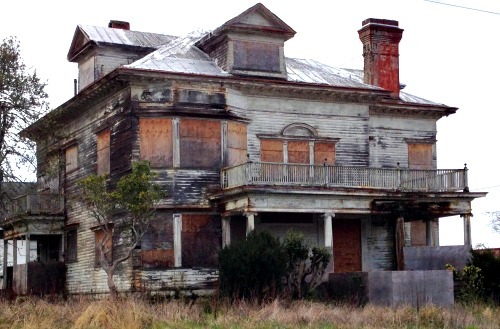 Is the Flavel Mansion Haunted? The Flavel mansion is a colonial revival-style house built by Joseph W. Suprenant from the plans of an unknown architect. It was to be the second home of Captain George Conrad Flavel along with his wife and son, and the Flavel family lived in the house until the year 1990. The house itself does not have a particularly interesting story, as it was simply just another home, but it is the Flavels themselves who are thought to be the reason behind the hauntings. Captain George Flavel died in 1923, with his wife following in 1944, and it was their son, Harry Flavel who inherited the house and after his death it was occupied by his wife and two sons. In 1947, one of the sons attacked a neighbour with a hatchet, which made the family outcasts in the community. Matters only got worse for the family when in 1983 the same son was imprisoned for hitting someone's car with a chain and then stabbing him. After his release in 1990 the family left the area shortly after, and the house was left to stand derelict for almost 20 years. In May of 2015 a local business man bought the house with the intention of restoring it as a home, though it will certainly take a very long time and a lot of money to make fit for living in again. There are two Flavel houses in Astoria, the one which is now open as a museum and this one, which was the home of Harry Flavel. The man he attacked with a hatchet and also the man he stabbed didn't actually die, and even if they did they were no where near the house. So how have so many stories of the ghostly activity of this place come to light? The answer is believed to be from all of the suffering within the Flavel family at the time when Harry was living there, and its this lingering emotion that can still be felt today. He was known to treat his sister and mother, whom he lived with at the house very poorly. There are even stories of neighbours hearing guns shots inside the house and one account of how he locked them both on a window peak and sprayed them with the garden hose on a cold winter night. People who have ventured into the house, which was mostly people just curious to see what was behind the boarded up windows, have come out again with some very bold tales. The most common of which is the general atmosphere of the house, with people claiming to have been overcome with intense emotions of sadness or fear, to the point were they have actually burst into tears. Apparitions have been reported within the walls and also the sounds of ghostly violin music, which is thought to be from Harry's sister who was a talented musician. An interesting account comes from October of 2010, when a load of black mourning veil mysteriously appeared draping from the balcony, who or why someone put it there is unknown.